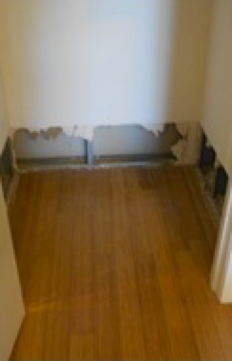 Consider the following, a somewhat typical scenario: your association has been sued by an owner who claims the board failed to maintain the common area that resulted in water leaking into that homeowner’s unit, causing damage. The board tenders the claim to the association’s insurance carrier. The claim is not resolved, or it may not even be a covered claim under the association’s insurance policy, and the owner files a lawsuit. The lawsuit is tendered to the association’s insurance carrier with a request that the carrier defend the lawsuit and indemnify the association from any damages. The insurance carrier accepts the tender with limited reservations of rights (insurance carriers always reserve rights to deny coverage if it later determines or discovers there is no coverage). What I have recited above is how most lawsuits get handled. Many boards expect that once they have tendered the claim to the insurance carrier, they can more or less forget about the claim or lawsuit. That would be a big mistake. In addition, many boards expect that the insurance company’s defense attorney is going to handle the matter and they don’t need to involve their association’s corporate counsel. That can also be a costly mistake. While the association’s insurance carrier will, in most cases, pay the homeowner claimant for damages caused to the homeowner and/or their property, the insurance carrier will not (in most cases) pay the cost of repairing the common area (the leaking roof, deck, window, stucco, etc.) that is leaking or leaked. Many boards are shocked when they attend a mediation and hear from the insurance adjustor or claims representative, the judge or the mediator, or all three, telling the board that they have to pay for replacement of the windows, fixing the flashing, replacing the leaking pipes, the list goes on. And, of course, there may be mold or even asbestos that the carrier will likely not pay to abate. I was motivated to write about this subject based on the many experiences I have had with boards of directors who were not prepared for the events I referenced above. In one recent case, a homeowner suffered from water intrusion from leaking windows and leaking pipes in various areas in their unit, and they claimed that there was a defect or problem with flashing outside of their unit and holes or penetrations into their unit from the garage slab that had never been sealed. The insurance carrier was prepared to pay money/damages to the homeowner for the repairs to their unit and for some of the attorneys’ fees they had incurred. The insurance carrier was not willing to pay for the cost of replacing the leaking windows nor the flashing or wall penetrations. While insurance defense counsel had done a very credible job in negotiating a settlement, there was much ambiguity left in the proposed settlement agreement dealing with what repairs the association would make and how it would make the repairs and/or access the unit for same. In fact, when I got the draft settlement agreement, it basically said that the association would “repair” certain items without really describing what the repair would be. I had not been told about the lawsuit and was not aware that the board was going to attend a mediation. Perhaps, had I been there, I could have addressed these issues and the board could have avoided the conflict that ensued. With my involvement, I was able to get the carrier to cover some of these defects and problems, and I was able to whittle down exactly what the association was going to be required to repair and ensure that this was properly addressed in the settlement agreement so there would be no ambiguities down the line. It would have been easier, and perhaps I could have gotten a better result, had I been involved earlier. Once a case has been settled and the insurance defense attorney has been released from his/her responsibilities defending the lawsuit, if there are problems with what is required by the settlement, it is likely that neither the insurance carrier nor the insurance defense attorneys are going to come to the association’s defense. So what can a board do to avoid these situations? Several things. First, keep corporate counsel advised about the lawsuit and in the loop as to its status and involved in discussions with the insurance claims representative and defense counsel. It is important to keep corporate counsel involved in decisions such as the terms of settlement, scope of repair that the association will be obligated to make, etc. In most cases, the association will end up saving money because competent corporate counsel will whittle down and negotiate what the association is going to be obligated to do and limit the association’s exposure. It is far easier and less expensive to involve corporate counsel in the actual settlement negotiations than it is to call them in after the settlement has been made and there are questions over what the association is supposed to be doing as part of the terms of the settlement.